Niche literary competitions and awards may mean less competition for you. Ever notice how many writing contests and competitions advertise that they’re looking for the “best” story, poem, essay or novel? It’s a nice word, “best,” but it can be woefully unhelpful when you are trying to decide if a manuscript of yours has a fighting chance to win. “Niche” awards, which seek to recognize and reward work with a specific thematic slant, can be wonderfully clarifying. They also narrow entrant pools. They can even help jump-start or polish a project by providing details about how the judges would prefer to see a particular subject handled. You will find below 10 such competitions that don’t charge entry fees. So go through your files, or start something new. Good luck! Consequence, a literary magazine that describes itself as “focusing on the culture of war and social injustice,” awards the annual Consequence Prize in Poetry, “which recognizes exceptional work addressing the consequences of armed conflict or social injustice.” The winning poem earns a $200 prize and publication in Consequence. Entrants may submit up to three poems of any length. The most recent deadline was Oct. 1. Check for 2012 updates. consequencemagazine.org. In the short-story world, this year marks the American Kennel Club’s 25th Annual Fiction Contest. Stories submitted “may feature either a purebred or mixed breed dog.” Be forewarned: “No talking dogs, please.” The AKC stipulates that entries must be original, unpublished and not under consideration elsewhere. Cash prizes for the top three stories are $500/$250/$100, and the winning works “will be published in AKC Family Dog as space allows.” The current contest deadline is Feb. 6. akc.org/pubs/fictioncontest. Science-fiction enthusiasts may be intrigued by the Jim Baen Memorial Writing Contest, which looks for unpublished short stories (no more than 8,000 words) that show “the near future (no more than about 50-60 years out) of manned space exploration.” Check the website for informative lists of “what we do want to see” and “what we don’t want to see,” as well as for detailed information about prize packages for the writers of the winning stories. Current submission deadline: Feb. 1. williamledbetter.com. Have you spent time living abroad? TransitionsAbroad.com’s Expatriate and Work Abroad Writing Contest invites you to submit an article describing that experience. Note: “Given the nature of the global economy … more and more people are moving abroad to find various forms of work in addition to seeking spiritual fulfillment, so such stories are of great interest to our audience.” You can also strengthen your submission by including a sidebar featuring “important websites, publications, and other practical resources which have aided you in the cultural adjustment process or enhanced your life abroad.” The top three submissions will receive $500/$150/$100, respectively. “Any other articles selected as runners-up for publication on TransitionsAbroad.com will receive a $50 payment.” The next deadline is Feb. 15. transitionsabroad.com. Cash prizes are awarded in two categories (1,000-2,000 words and 1,000 words or fewer). Winning, finalist and honorable-mention entries may be published. Previously published work may be submitted. For 2011, the submission window ran Nov. 1-Dec. 31. Check the website for 2012 updates. scgsgenealogy.com. Do you have a book-length manuscript about—or set in—Kentucky? Sarabande Press publishes one book each year through its Linda Bruckheimer Series in Kentucky Literature. Manuscripts may be submitted during the month of July. Eligible work includes collections of poetry, short stories or essays; novellas; short novels; and creative nonfiction. Good news if you’re a native Kentuckian or have lived there for at least two years: You’re eligible to submit work, too. The prize includes $2,000 and possible adoption of the title for the History Book Club. The next award will be given in 2013 with a submission deadline of Jan. 31, 2013. Books with a copyright in 2011 or 2012 will be eligible. Past winning titles include Matterhorn: A Novel of the Vietnam War by Karl Marlantes (Atlantic Monthly Press) and Loving Frank by Nancy Horan (Ballantine Books/Random House). sah.columbia.edu. Authors of winning books receive a $10,000 award. The most recent submission window ran Sept. 1-Dec. 31, for books that were published in 2011. Check the website for updated information. anisfield-wolf.org. • Always, always, always read the fine print. Understand the terms and conditions of any contest or competition that you are contemplating for your work. Also be sure to recheck all of the submission requirements and deadlines. • Think professionally. How does the competition present itself? Who are the past winners? If the contest promises publication—in print or online—can you locate any previously winning work? If it’s a book contest, can you find winning books from past years for sale? What do you think about the appearance and the quality of the winning work? • Proofread, proofread, proofread. And keep a copy of any manuscript you submit. • Some niche literary journals—such as those featured in the November 2011 issue of this magazine—administer their own contests. See, for instance, the Bellevue Literary Review Literary Prizes, annual awards for poetry, fiction and nonfiction “related to themes of health, healing, illness, the mind, and the body.” Although many journal contests charge entry fees, entrants often receive a subscription (or subscription extension), and the prize purse tends to be significantly larger than the payment for work accepted through general, non-contest submissions. • Other places to find “niche” writing awards: Many specialized awards are administered within larger writers’ associations and other professional groups. See, for instance, award programs from PEN American Center (pen.org) and the American Library Association (ala.org). See also awards organized within specialty journalism organizations. You’ll find a good list of these organizations on the American Journalism Review’s website (ajr.org; click “Resources” and then “Journalism Orgs” to reach the list). Note that many of these competitions require entry fees. 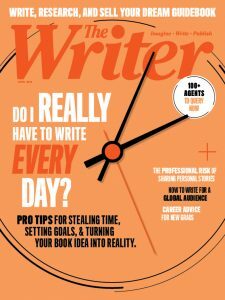 Contributing editor Erika Dreifus regularly shares information about no-fee writing contests and competitions in her newsletter and on her Practicing Writing blog. Web: erikadreifus.com.